Do you know your Eiffel Tower from your Guggenheim? 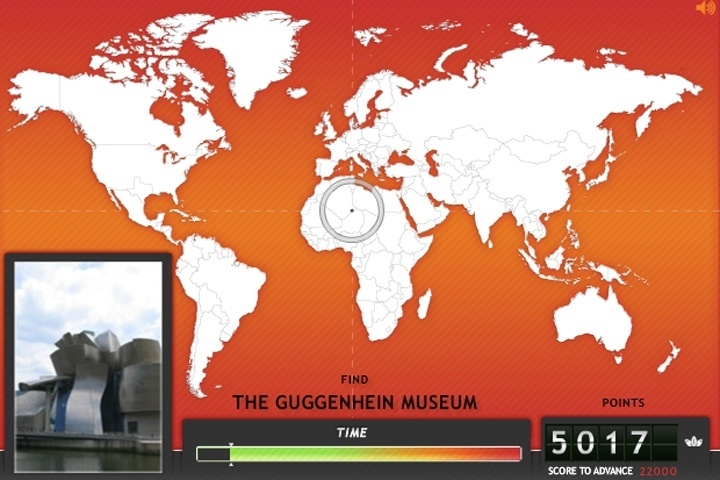 Where on Earth has you pinpointing the location of iconic buildings in the world. Try and get as close as you can to the actual location to earn as many points as you can within the time given. They show you an iconic building. You drop the marker to show where on earth the building comes from. Points are awarded on your speed and accuracy.